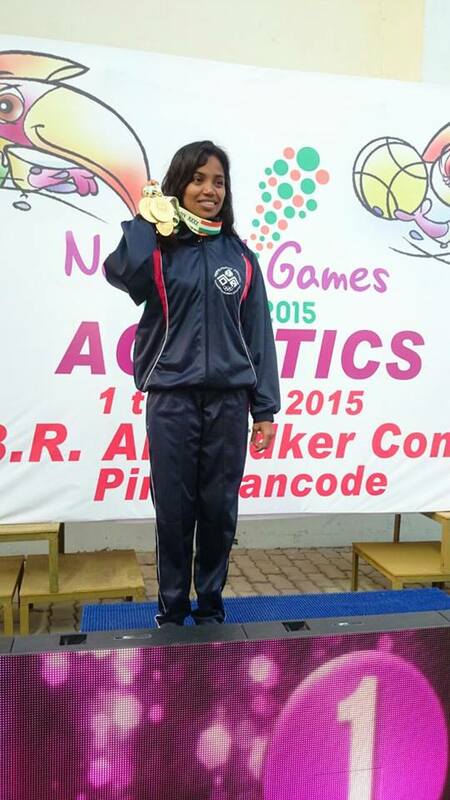 How National Diving Champion Hrutika regained her full Performance Capability. Back to high performance thanks to Dr Sandeep Bhagwat and Matrix Rhythm Therapy. Hrutika Shriram Prasad is a well-known international diver. At the present she is current National Champion 2017 in India. Hrutika is the only Indian diver to win eight gold medals at National Games held at Assam in 2006, Ranchi in 2011 and Kerala in 2015 with new meet record in all consecutive events. Her numerous championships – she won 27 gold medals and 6 silver medals at Senior National Diving championships since the year 2005 to present, as well as 52 gold medals at National Junior Diving Championships – are legendary. She started her international career at the age of twelve and represented India up to date in International Diving Championships at Zhuhai, Macao, Jakarta, Foshan and Tokyo, where she won a Silver and Bronze for India in Asian Age Group Diving Championships in 2009. After many years of training she was suffering from pain and reduced range of motion in her whole body. Because of musculoskeletal problems of her spine she was not able to perform any more. Quiet frustrated – because she feared that she had to stop her career – she consulted Dr. Sandeep Bhagwat in Mai 2013. She had massive intersegmental muscular disbalances – hyper-mobilities beside hypo-mobilities – accompanied by chronic back pain. 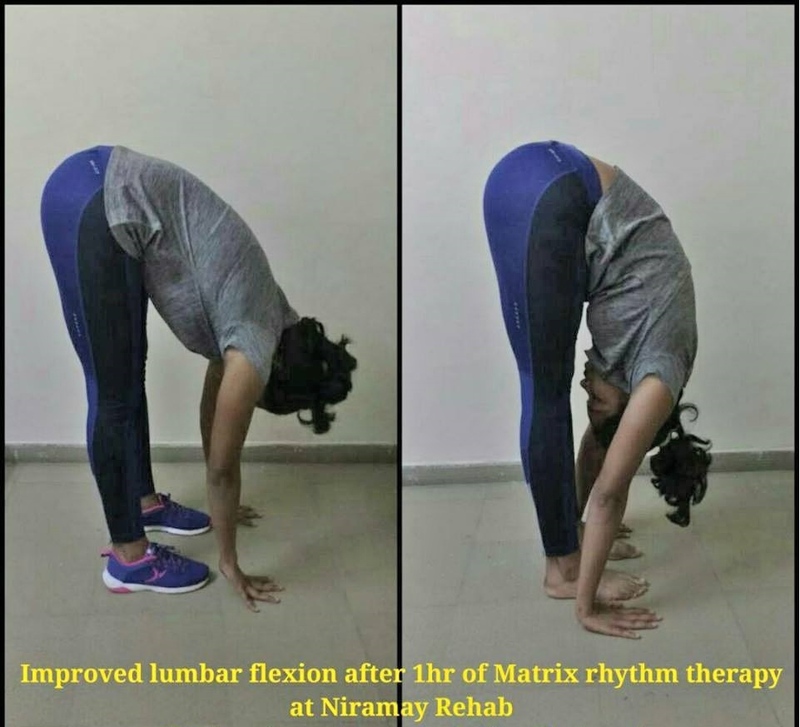 Initially thrice a week, and after the first week five days a week Dr. Sandeep performed the Matrix Rhythm Therapy on her. This continued for two month. 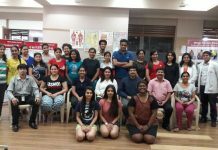 First step Dr. Sandeep Bhagwat started with the treatment of the muscles of the paravertebral spine according to the Matrix Concept. The effect was an immediately release of the muscle tonus. The imbalances of the hole spine disappeared as well as the compression of the discs in the different segments. And the bending bow of the whole spine homogenized. Second step Dr. Sandeep continued to treat the muscles of the whole body and so got back the initial body elasticity by doing the micro-mobilization by rhythmic extension technique with Matrixmobil. Parallel he opened the macroscopic range of motion by movements and postures from spiraldynamics and yoga. 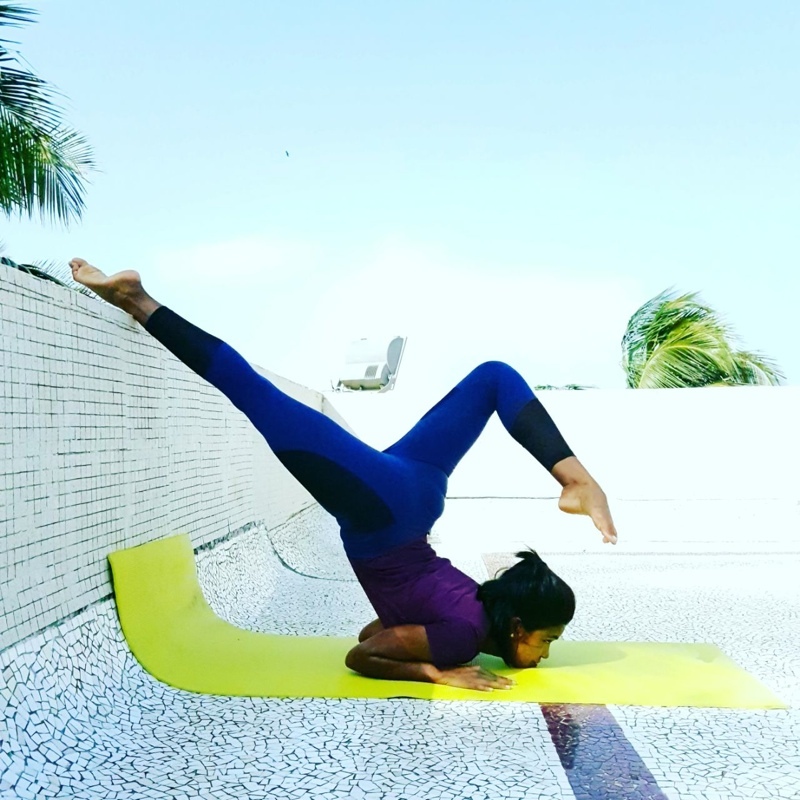 As result Hrutika got back additionally to the body elasticity in normal position the flexibility (ROM) in elasticity even in extreme positions. Plastic deformations even in extreme positions had disappeared. The proportion between muscle belly and tendon normalized again. 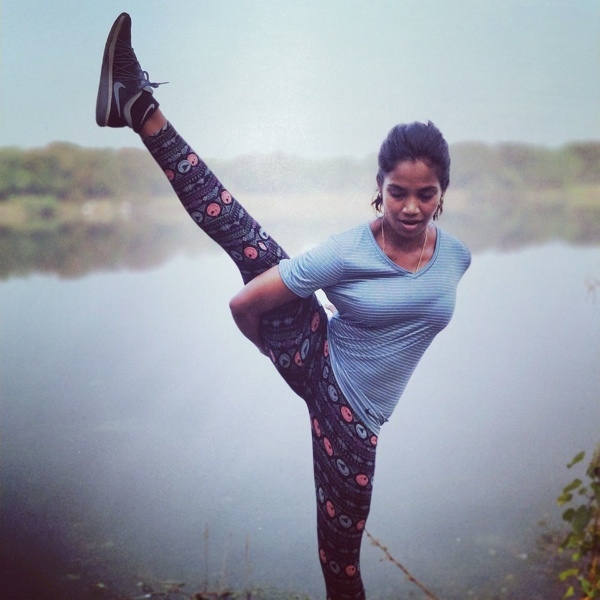 Third step Hrutika started slowly with her training by practicing yoga postures, weight lifting to train the muscle strength and diving as well. Controlled strength she needs to stabilize the diving movement. So at the end she got a perfect body, performing with full elasticity, flexibility and strength. Expressing these three parameters she has the basis to prevent injuries and to achieve highest performances. Now Hrutika is again Nr. One by the last National Diving Championships. I am writing to thank Dr. Sandeep Bhagwat, Dr. Randoll and entire team who are part of Matrix family. 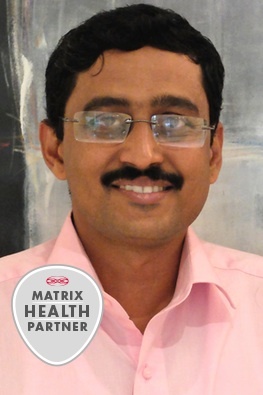 My experience with Dr. Sandeep and Matrix was beyond my belief. I had given all the hopes I had in all the available treatments but it was Dr. Sandeep who made me believe in Matrix. Initially Dr. Sandeep treated me with 1hour matrix session every alternate day which was followed by massages, theraband exercises, mobility and some strength exercises. With each session, I noticed increase in my shoulder range and strength, which gave me more positivity to believe in Matrix. After a week or so, Dr. Sandeep practiced Matrix for 2hours or may be more than that which were followed by different exercises using gym balls and other sports equipments. Within a month, my shoulder ranges were very much normal which was absent before taking Matrix. Dr. Sandeep took care of everything from my Diet to Diving. He was more of a Family person than just a Doctor. I did my first Diving training in presence of Dr. Sandeep. He came to the swimming pool and observed my dives and saw my dive postures and corrected me. Felt that I got the best possible treatment and I might not be treated if Dr. Sandeep didn’t listen to me and my problem. I want to express my sincere appreciation for the promptness and professional care given to me by Dr. Sandeep and entire Matrix family. Vorheriger ArtikelDanke für 20 Jahre MaRhyThe!